Tactile recognition game that consists of putting your hand in the bag to find the parts you need. 21 wooden pieces including a trick piece and 20 illustrated cards. Can be used as Bingo. Instructions in 5 languages inside the box. 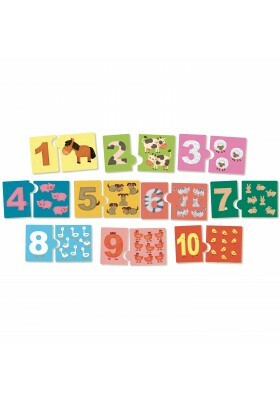 28 reversible wooden dominoes, classic dominoes on one side and pictures of small animals on the other. 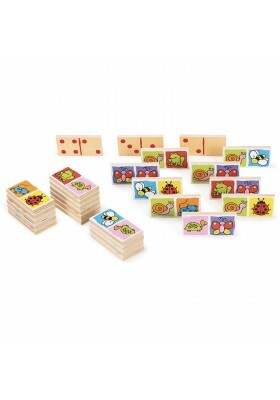 A lovely wooden memory game that makes an attractive picture. Practical wooden box to tidy up your game and take it everywhere you go. 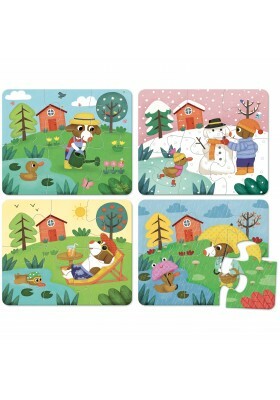 Four wooden puzzles of six pieces, on the theme of the four seasons, sold in a beautiful illustrated wooden box. 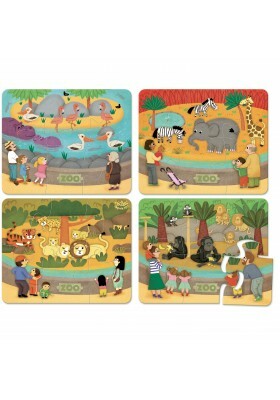 Four wooden puzzles of six pieces, on the theme of the zoo, sold in a beautiful illustrated wooden box. 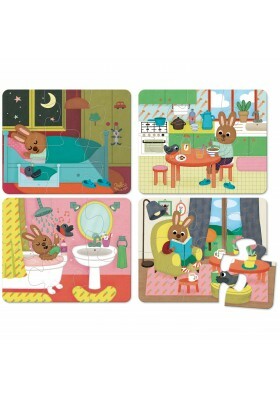 Four wooden puzzles of six pieces, on the theme of the house, sold in a beautiful illustrated wooden box. 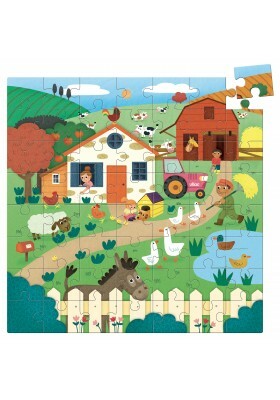 Fifty-six piece Puzzle on the theme of the farm. Full colour scale 1 picture provided. 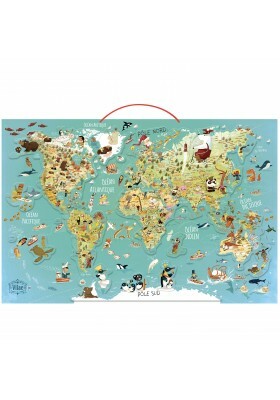 Beautiful magnetic wooden map of the world, full of details and attractive illustrations, to learn how to locate countries. 78 wooden pieces. 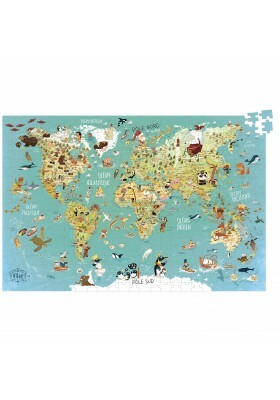 Five hundred piece cardboard puzzle of the map of the world with lots of details and attractive illustrations. Perfect to learn the names of countries, their capitals and cities, major rivers, seas and oceans... Discover the fauna, flora and customs specific to each country. 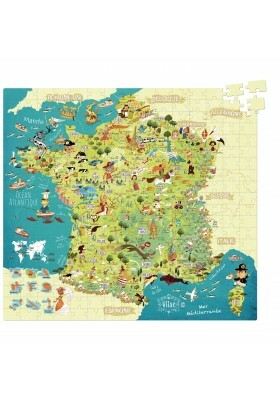 Three-hundred piece cardboard puzzle illustrating in detail the map of France. Puzzle sold in a pretty box in the shape of France. Perfect to learn the names of French departments, rivers, seas and oceans and neighbouring countries but also to discover regional specificities. 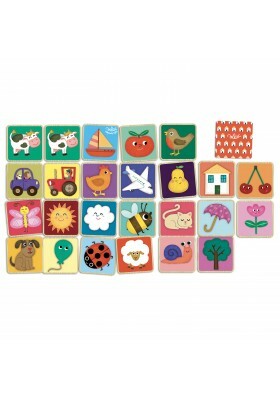 This box contains 20 wooden pieces with illustrations. Children can learn to count while having fun! Magnetic doll to dress up as you please with lovely wooden clothes and accessories. 37 pieces  Magnetic doll: 22 cm high. 34 magnetic pieces of clothing and accessories to dress up our Arthur Doll and invent countless stories. 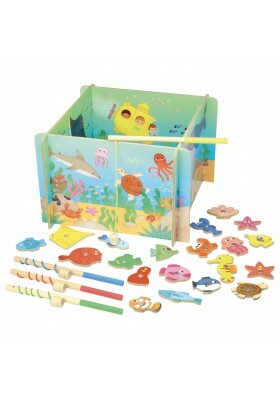 Fishing game for 2 players in wooden box, with 2 magnetic fishing rods and 12 magnetic wooden fish to catch. Numbers on the back to count your points. 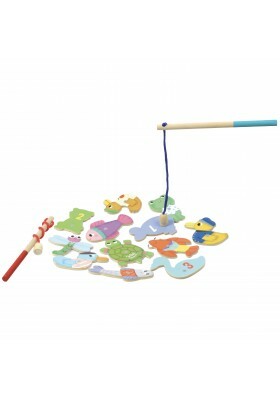 Fishing game for 4 players with illustrated play scenery, 4 magnetic fishing rods and 20 magnetic wooden fish to catch. Numbers on the back to count your points.